On November 5, 2017, we broke all records! 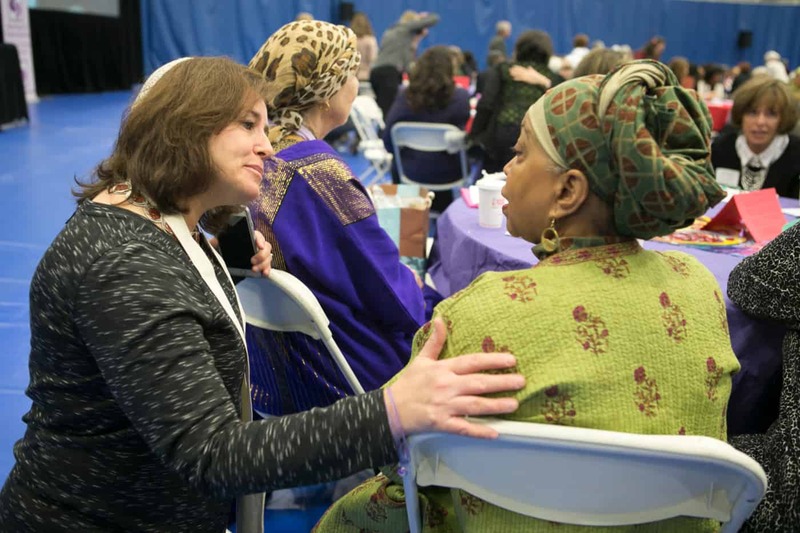 Over 600 Muslim and Jewish women came together to celebrate the theme of “Rising Up.” We truly rose up as a movement of women of faith changing the world! 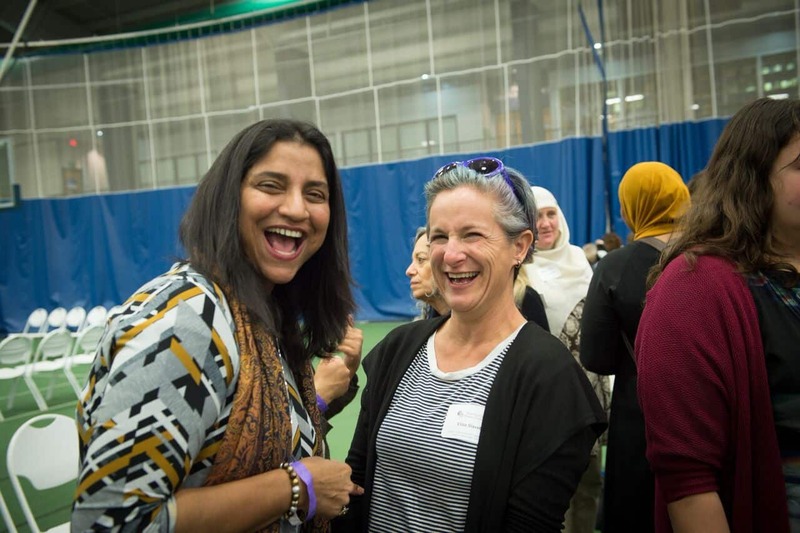 Read more about the 2017 conference from SOSS Peace Board Member and Chapter Leader Heba Macksoud. We hope you’ll join us for our 2018 conference. Stay tuned for details here on our website, on Facebook, or on Twitter. Learn what we can do to stop anti-Muslim and anti-Jewish acts of hate. Anita Diamant gives voice to women’s narratives. She is the bestselling author of fiction and nonfiction books. She has published five novels, the most recent of which is The Boston Girl, a New York Times bestseller, and is best known for her 1997 novel, The Red Tent, also a New York Times bestseller and recently made into a miniseries for television. 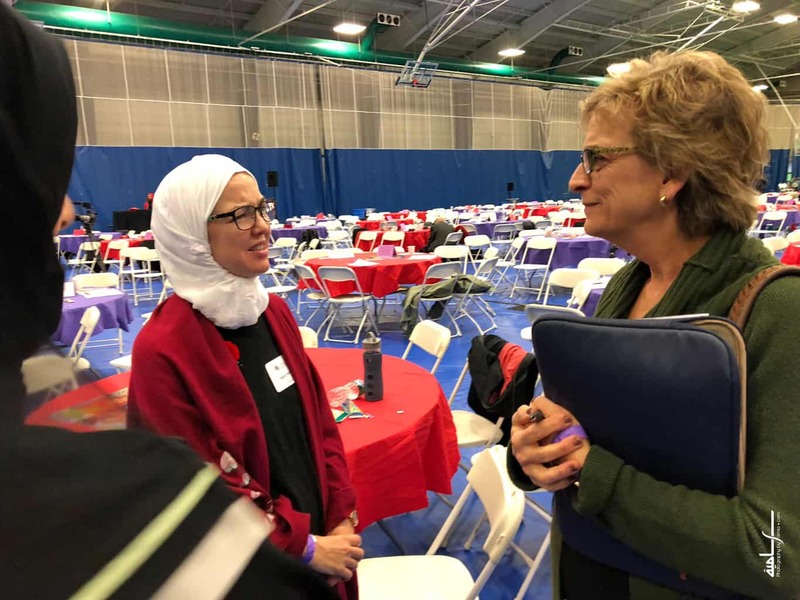 Dr. Ingrid Mattson is an Islamic studies scholar, a Muslim religious leader, an interfaith activist and a leading voice for interfaith engagement. 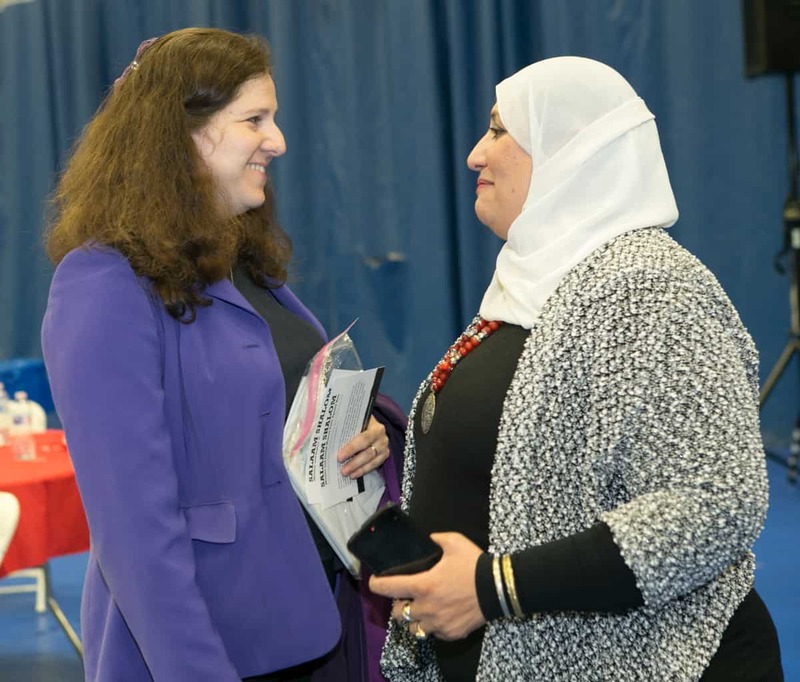 Mattson is a former president of the Islamic Society of North America (ISNA), is recognized as an advocate for Muslim women as religious leaders and was described as “perhaps the most noticed figure among American Muslim women” in a 2010 New York Times article. Haroon Moghul is a commentator, broadcaster, author, and Muslim-Jewish interfaith advocate. He is a Senior Fellow and Director of Development at the Center for Global Policy, and the Muslim Leadership Initiative Facilitator at the Shalom Hartman Institute. 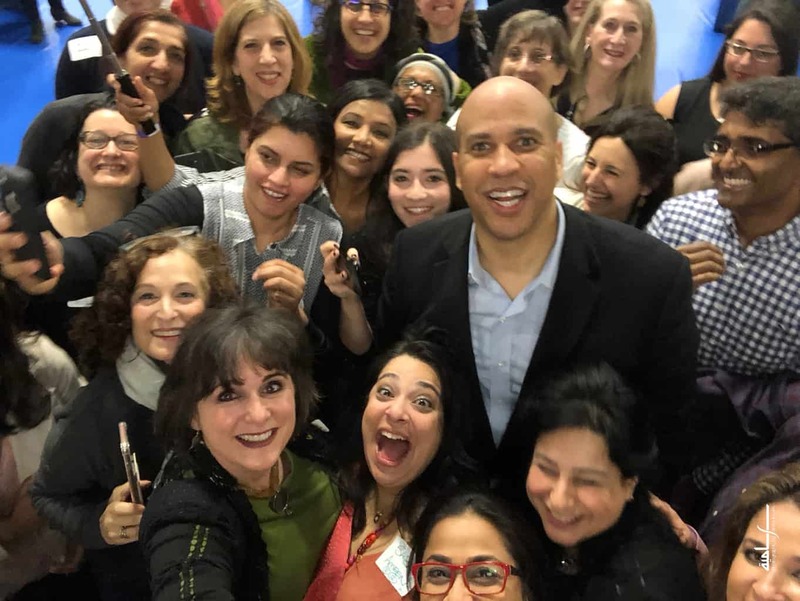 Haroon has appeared on all major media networks and has been published in the Washington Post, TIME, CNN, the Guardian, Foreign Policy, and Haaretz, among others. He’s the author of a novel, The Order of Light (Penguin 2006), and a new memoir, How to be a Muslim: An American Story (Beacon 2017). 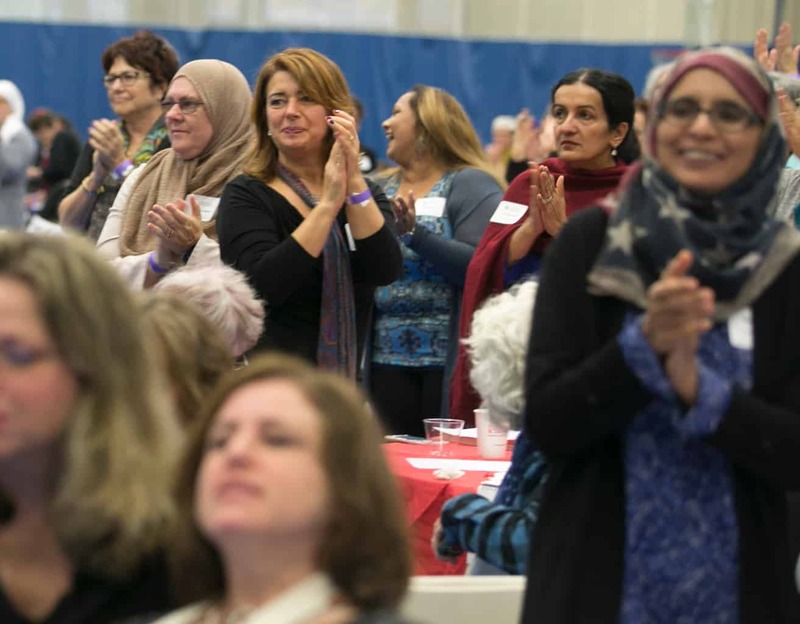 Rana Abdelhamid is the founder of the International Muslim Women’s Initiative for Self-Empowerment (I’M WISE), a grassroots organization that offers self-defense classes and teaches leadership skills. Abdelhamid has been featured in the Huffington Post, Elle.com, Mic.com, CBS and PBS. Rana has organized around human rights issues with Amnesty International on campaigns related to women’s rights, torture, and the Arab Spring. She is a recipient of the 2015 UNAUSA Leo Nevas Human Rights Youth Award, the Harry S. Truman Scholarship, and the Running Start Rising Political Star Award. 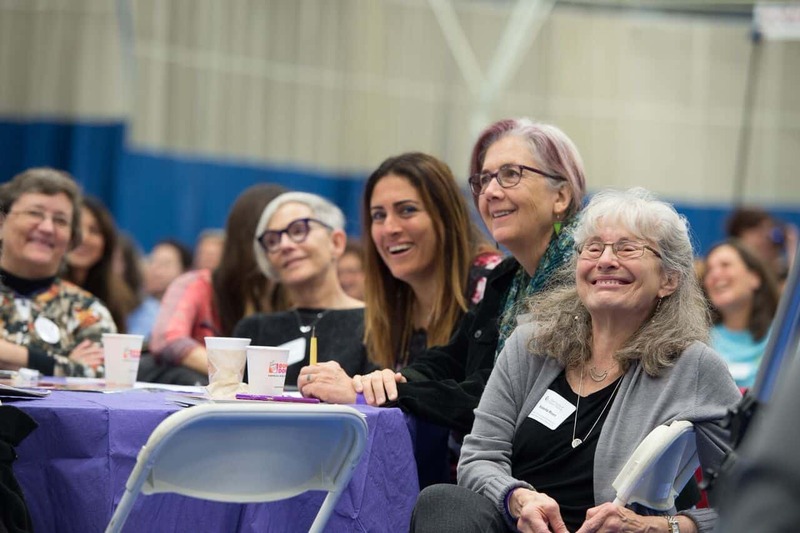 Our additional presenters and workshop facilitators will include (list subject to change) Dr. Mehnaz Afridi, Atiya Aftab, Rokeya Akhter, Imam Abdullah Antepli, Lynne Azarchi, Dr. Yehuda Kurtzer, Ruth Broyde Sharone, Rabia Chaudry, Meryl Chertoff, Letty Cottin Pogrebin, Jonathan Golden, Salma Hassan Ali, Andrea Hodos, Muna Hussain, Rashida James Sadiyaa, Arzu Kaya-Uranli, Dr. Sahar Khamis, Rabbi Jacqueline Koch Ellenson, Rabbi Nancy Kremer, Celene Ibrahim, Jenan Mohajir, Janet Penn, Debby Perelmuter, Kathleen Peratis, Amanda D. Quraishi, Zeenat Rahman, Hannah Risheq, Melanie Robbins, Nureed Saeed, Rabbi Shira Stern, Tasneem Sultan, Milana Vanytrub, Dilanz Waraich, Dr. Racelle Weiman, and Dr. Homayra Ziad. See a full list of the 2017 workshops and descriptions. Authors including Anita Diamant, Rabia Chaudry, Letty Cottin Pogrebin, Haroon Moghul and Mehnaz Afridi.